In 2009 a US$2 billion project to pave a highway through the southern Peruvian Andes was nearing completion. For the preceding four years, heavy machinery had trundled its way up precipitous mountainsides, carving out and building up a roadway through rocky crevasses and waterlogged jungle terrain. Engineers had surveyed and measured, churned and dug, mixed and spread, excavated and eventually laid an asphalt strip that was now wending its way from the highlands of the Cusco region of Peru to the border with Brazil in the Peruvian Amazon. This 700-km (435-mile) route was known as the Interoceanic Highway. Figure 1. The Inambari Bridge, where the Interoceanic Highway crosses the River Inambari. At that time, we were engaged in an ethnographic study of this space (Harvey and Knox 2015), and traveled this road often. Somewhat to our surprise, we found that many people shared our fascination with roads. Regardless of whether we were talking with residents, academics or taxi drivers, engineers or manual workers, shopkeepers or frontier extractivists, everybody had an opinion. Roads mattered to people and seemed to hold a particular fascination as indices of state care: a testimony to considered investment, reckless expenditure, and/or thoughtless abandonment. In the course of these casual conversations rumors emerged suggesting there were new plans to undo the road before it was even finished. Online and in roadside cafes, people began to talk about an even bigger, US$4 billion project to dam and flood the river valley at Inambari to create a huge hydroelectric power plant. The planned hydroelectric project was expected to flood 46,000 hectares (nearly 114,000 acres) of forest and would notably also flood some 120 km (nearly 75 miles) of the newly built highway. 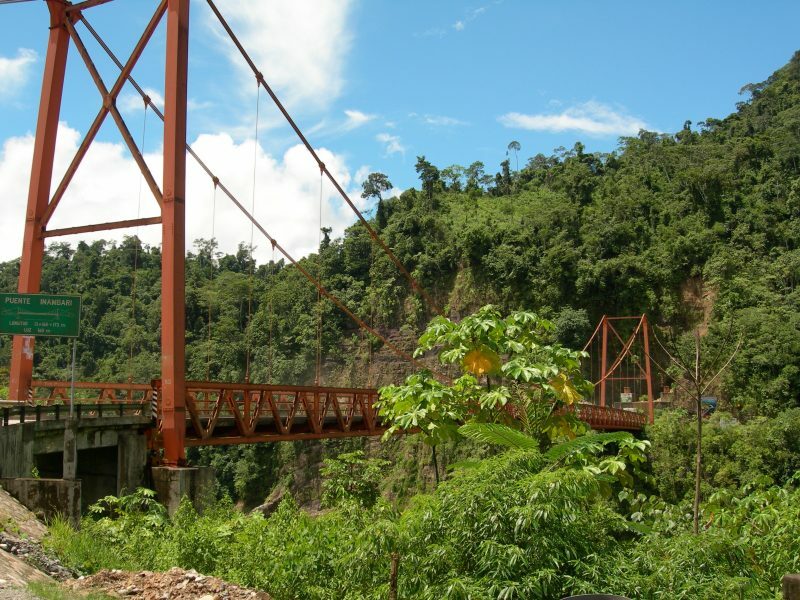 It would literally wash away millions of dollars of investment, not to mention years of struggle by local populations living along the route of the road to open up the highway from the jungle to the highlands. Infrastructures usually do not appear de novo, but rather build on the legacy of previous infrastructural forms. The Interoceanic Highway, for example, was built in the footprint of a previous road: construction on Route 26 (as it was called) had begun in the 1930s. Gradually, the state took on the mule paths and river fords long used by explorers and traders in the region as a public works project. 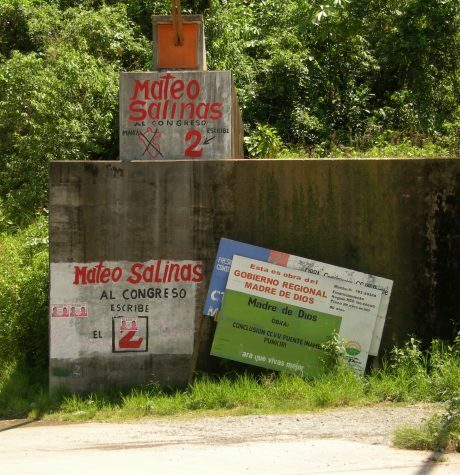 State investment was sporadic, however, and by the time the road reached Puerto Maldonado, the surface in other sections was in an appalling state of disrepair. Travel was slow and dangerous. The Interoceanic Highway project brought a new injection of capital, this time through the collaboration of the Peruvian state, international lenders, and a construction consortium led by the Brazilian transnational company Odebrecht. No longer a project of national territorial integration, the new highway promised international connectivity not just for terrestrial movements, but via all the other infrastructures that the new road brought with it, most notably mobile phone towers, internet cables, and electricity. However, the plan to build the dam suggested innovation of a different order. How could something as huge and solid as a 700-km road be simply swept away in the imagination of another, bigger, better infrastructure project? The suggested decimation of the new road ran counter to our understanding of the palimpsest of infrastructural formations, the material accretions that leave visible traces of earlier forms. If floodwaters submerged the road, what traces would remain once the dams were built? And what might these traces tell us about the contemporary politics of infrastructure? In the 1920s and 1930s manual labor was conscripted, and although the historical records show disquiet over how powerful landowners abused the law, the public generally welcomed the building of the roads themselves, not least for the ways in which both the labor and the physical structures created an otherwise fragile sense of citizenship. Even now, the public benefit of road construction is written into law: the Interoceanic Highway project was legally constituted as a public good in Ley 28214. Other legal statutes outlined the right of the state to purchase land alongside the highway for its widening or extension and access to the subsoil for purposes of excavation in road construction, all with the expressed aim of ensuring cohesion through terrestrial connection. That something, in this case, was a much broader sense of what the road would enable. Conceived not just as a public work but as an infrastructure, the road in this case was not only supposed to benefit Peruvian populations, but was also expected to generate all kinds of other circulatory flows. The very name interoceánica points to the relative unimportance of the 700-km stretch of road in its own right. The project was not just a project to build a bit of road between the highlands of Peru and the border with Brazil, but also an attempt to place the last piece of a jigsaw creating a terrestrial connection between the oceans on either side of South America (an interoceanic connection) and, perhaps even more important, to foster a trade connection between Brazil and China through the ports of Peru. The Interoceanic Highway as infrastructure would thus enable the simultaneous flows of goods, capital, and people at multiple scales. But this shift from public work to infrastructure does not explain why a new dam could plausibly wash away a road project of this scale. The dam might retain some of the benefits of the road as a public work, though not perhaps for those who needed to move between towns on either side of the flooded section of the highway, but surely it would undermine the flow of goods and people from Brazil upon which the whole cost-benefit analysis of the project had originally hinged. The contradictions in turn make it abundantly clear that there never was a single or coherent public that stood to benefit from the road construction project, or who might in turn be served by the dam. In the planning stages of infrastructural projects, beneficiaries are identified and enumerated as justification for investment. The projected benefit to each and any social group is calculated and offset against the projected costs. Multiple publics can be specified in such enumerations. An additive logic is deployed whereby residents, haulers, entrepreneurs, town councils, voters, farmers, students, ill people, tourists, and others become commensurable, and thereby also abstracted from the particularities of their interests and sensibilities. However, in practice, interested publics arise through specific relational possibilities that emerge through the dynamics of infrastructural connection. In this way infrastructures, as relational formations, gather diverse collectivities around specific projects of material transformation. This existence of the project offers a third way of approaching the road alongside its status as public work and as infrastructure. 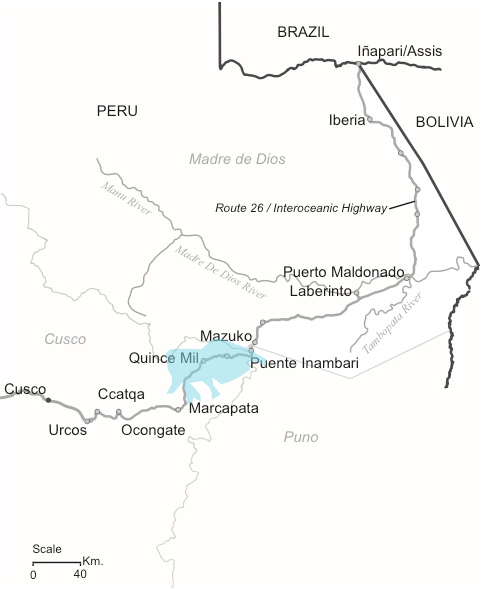 By the time the dam proposals appeared in the media, the road was well established as a “project.” Funded by IIRSA (Initiative for the Integration of Regional Infrastructure of South America), and brought together through a collaboration between Peruvian and Brazilian engineering companies under the umbrella of the Conrisa consortium, the Interoceanic Highway was a project oriented—as the language of “project” implies—toward an as-yet unrealized future. Creating the Interoceanic Highway project had involved much more than building a road. The Interoceanic Highway as “project” was a temporary coming together of people, institutions, money, and materials held together in an alliance that would by definition dissolve upon completion. It was not the public work, nor the infrastructure, but the project that had gained funding from the CAF (Central Andean Fund). 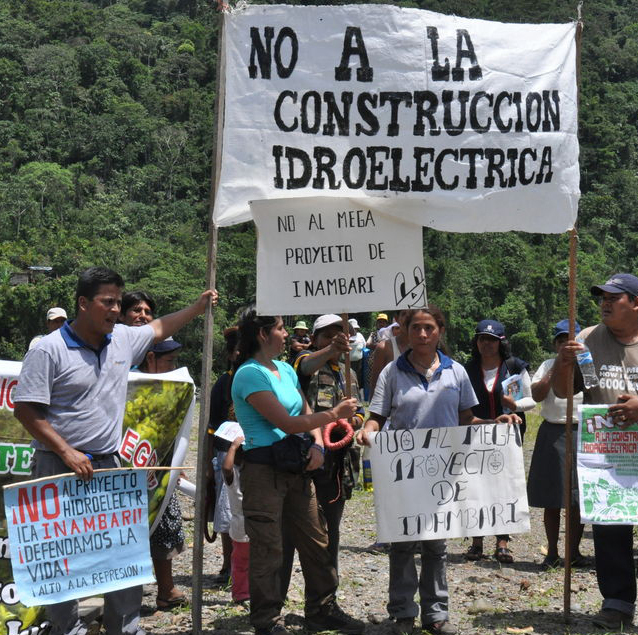 Odebrecht ran the project, which was backed by the Peruvian government, structured around feasibility plans, argued for in Parliament, and supported by environmental agencies that mitigated the risks of international investors. The dam, likewise, was a similarly created project. Like the Interoceanic Highway, it too was a consortium involving a Brazilian construction company, this time OAS. Like the Interoceanic Highway project, it gained backing and investment from the Brazilian state and was the outcome of negotiations between the Peruvian and Brazilian governments. Understanding the dam as a project does not undermine the achievements of the Interoceanic “project.” For within the logic of the “project,” or now in this case the “megaproject,” the cost and logistics of rerouting the 120 km of road was simply something to reabsorb into the new plans. The focus on the project makes visible the traces of the road in the emerging contours of the dam. The project as palimpsest makes visible the continuities in what otherwise appeared as a radical change. And although not immediately visible, the traces of the Interoceanic Highway would remain in the financial, bureaucratic, and political relations between state and engineering company. The relevant public, on the other hand, is reconfigured as overtly transnational. The relevant public of public works is at some level always a citizen. Public works are conceived and managed through state agencies. Infrastructures break this mold and blur the boundaries between public and private institutions and interests. The project can move between these possibilities and can also become an entirely private affair in which the consumer and the market rather than the citizen are the primary beneficiaries. Previously configured publics do not, however, disappear without a struggle. For two years various parties protested and opposed the dam. In the end, just before the Peruvian elections in June 2011, then-President Alan García announced that the project had been abandoned, citing protests by indigenous groups who argued that their land would be flooded. Ecological protection and indigenous rights cohered momentarily as a new conjoined space of public interest in need of protection. However, it is significant that the dam project was never definitively cancelled and remains “viable” as an object of public investment. Meanwhile, Odebrecht, OAS, and the Brazilian and Peruvian states face ever-deepening charges of corruption. The political agreements that allowed the imagination of a seamless move from road to dam are, for the moment, destabilized in the face of global uncertainties concerning how exactly “public” benefit accrues from private investment. 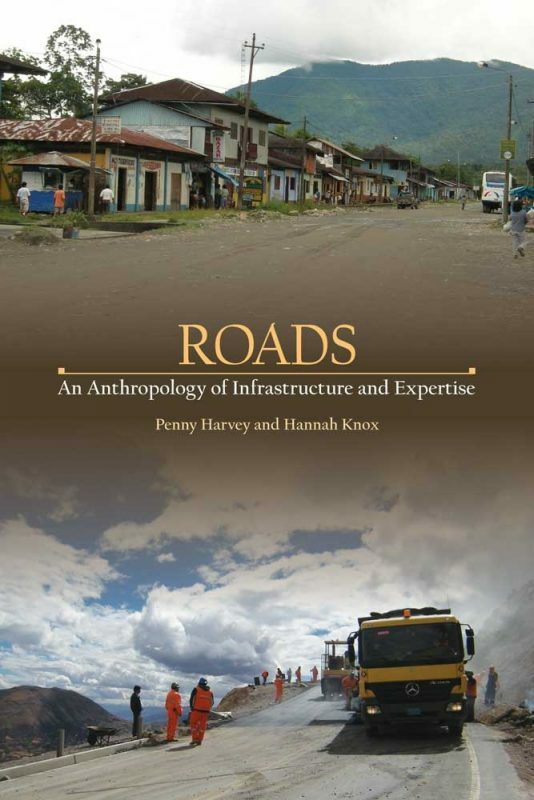 Harvey, P and Knox, H (2015) Roads: An Anthropology of Infrastructure and Expertise. Ithaca: Cornell University Press.